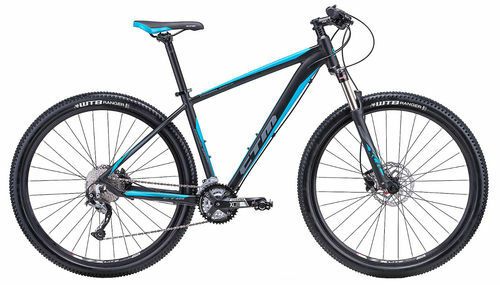 Suntour XCR, RLR DS AIR 100мм 29"
Main advantage of internal cable routing is protection agains elements such as water, mud and dust. It also make s overall bike apearence clean and elegant. Air spring is the new norm for suspension bikes. With coil like sensitivity but significantly lower weight. Its also easy to adjust to a variety of rider weight and riding styles by changing the air pressure. Double butted tubes makes for a lightweight frame, since material can be used where it matters. Surface treatment of bonding electrostatic colour particles to a frame, resulting in resistant and durable finish. Hydraulic brakes are clearly the most reliable and efficient ways of slowing down bicycle in any weather conditions. Aluminium alloy is now lighter thanks to additives and easier to shape into frame tubes. This makes it more accessible and affordable.